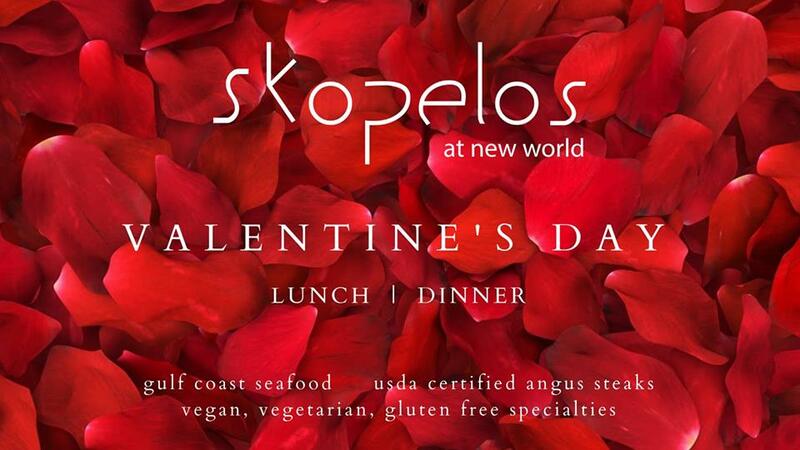 Whether you’re wooing your loved one with lunch or dinner, let Skopelos help set the romantic scene on Thursday, February 14th! Every woman/significant other will be greeted with a rose before dining on our signature lunch menu or special dinner menu from Executive Chef Gus Silivos. For reservations, please call (850) 432-6565.